(From left) Deon, Deontay and Mykel Farr regularly shop at the Save-A-Lot store in the Silver Mill Mall on North Teutonia Avenue. Photo by Andrea Waxman. A local teen, wrongly suspected of shoplifting at a Thurston Woods Save-A-Lot, has received an apology from the store’s owner after his parents shared their story on social media. Deon Farr was bagging her groceries after shopping in the store at 6201 N. Teutonia Ave. on Aug. 31 when a store security guard approached her son Deontay, 13, and asked him to lift his shirt. The guard apparently suspected that a colostomy bag concealed under the young man’s clothing was evidence of shoplifting. Farr explained the cause of the bulge, adding that Deontay is autistic and didn’t understand what the guard was saying. “The store was very crowded and everyone was looking. My son start(ed) saying, ‘Mom I don’t want to raise my shirt up, my bag is full.’ … He was humiliated and so was I,” Farr wrote in an account of the incident. The guard became aggressive, according to Farr, and the store manager joined in the demand for a search. Rather than asking the Farrs to step out of view of the other customers, they carried on the interrogation in the checkout area while blocking the exit, Farr said. Deon Farr (left) hugs son Deontay in front of the store where the Aug. 31 incident occurred. Photo by Andrea Waxman. Although Wisconsin law prohibits unwilling interrogation or search of suspects prior to the arrival of a police officer, the store refused Farr’s request to call the police, she said. To spare her son and herself further upset and embarrassment, she eventually complied and lifted her son’s shirt to show that the store manager and guard were mistaken. Later, frustrated that no apology followed, Farr wrote to Save-A-Lot and DPA Security. “I knew I had to take it up to the corporate level if I wanted to make a change,” she said. She asked for apologies, contributions to Steppin 4 Autism, an autism advocacy organization she and her husband founded in 2009, and staff training on autism. She received no response. “We deserve to be treated right where we spend our money,” Farr said, adding that she believes the store manager tried to keep the incident quiet. Finally, last week, the Farrs turned to Facebook to tell their story. The post drew a lot of attention and resulted in many messages to Save-A-Lot. On Thursday, Dave Hoalt, the storeowner, flew to Milwaukee to meet with the Farrs, they said. Deon Farr said Hoalt was “extremely apologetic and took full responsibility” for the mistreatment they received. She added that he agreed to make a donation to Steppin 4 Autism and to involve the Farrs in sensitivity and diversity training for Save-A-Lot and security personnel. Though Hoalt told them he is selling the Teutonia Avenue store to the Save-A-Lot company in mid-November, Farr said she believes the company will honor his commitments. Neither Hoalt nor store manager Dave Swabb responded to requests for comment. Such an incident is likely to be traumatic for a person with autism because social anxiety and difficulty understanding language and social nuances are part of the autism spectrum disability, explained Tamar Kaspar, a speech and language pathologist and behavior analyst who specializes in autism treatment. Social anxiety is often intensified by frequent social mistakes and negative judgments about those mistakes, added Emily Levine, executive director of the Autism Society of Southeastern Wisconsin and a parent of a child who has autism. 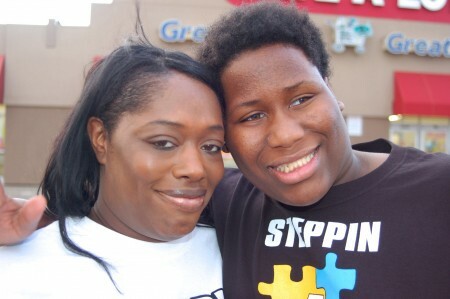 “Children and young adults (who have autism) need to go out in public. They need to be able to transition from their home and gain experiences in the community so that they can become as productive members of society as possible,” Kasper said. 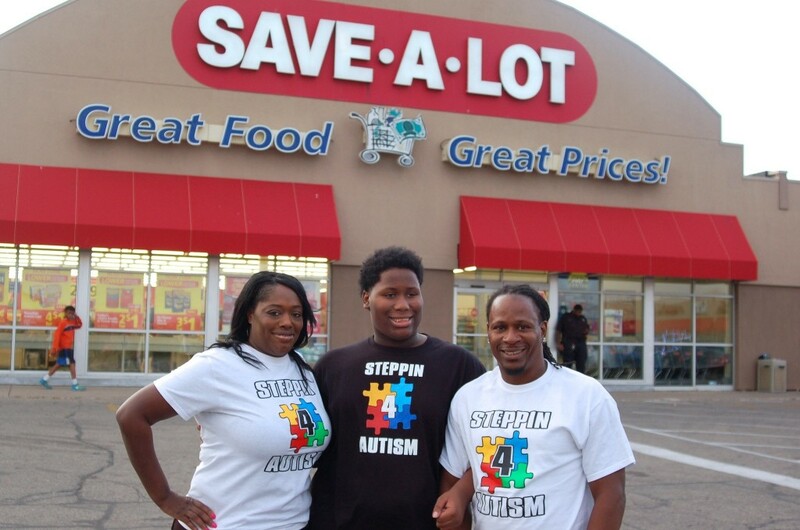 For these reasons, the Farrs regularly took Deontay to the Save-A-Lot despite their concern about people staring or treating him insensitively. “I tried to take him out of the house to show that it wouldn’t be scary, and then this happened,” Deon Farr said. Now, she said, he doesn’t want to go into stores, and he’s afraid of security guards. “Everything we worked so hard in getting our child to overcome has been diminished in less than 30 minutes,” Farr said. Deon Farr hopes that sharing Deontay’s story will teach people to treat others with respect. She said she believes that with knowledge and training, the damaging series of events that took place at Save-A-Lot could have been avoided. She hopes to participate in bringing that change.